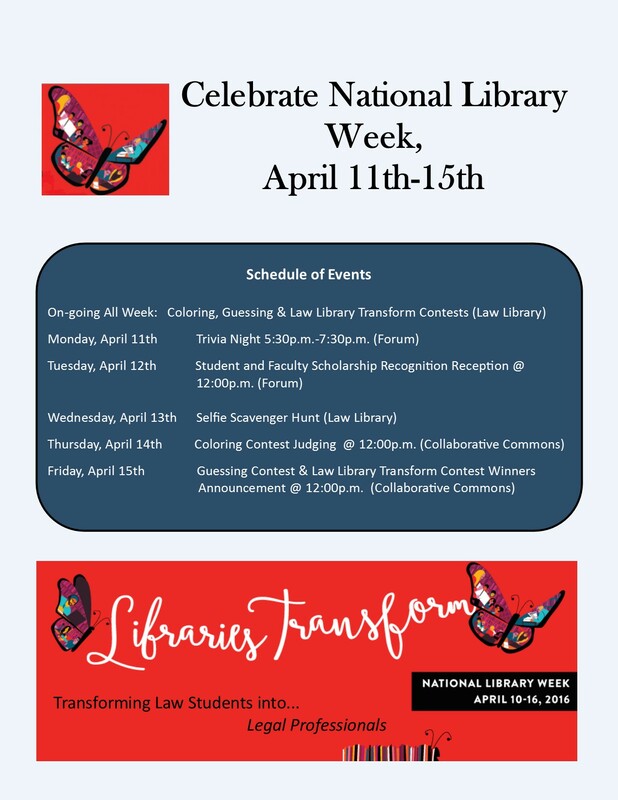 Please join us for a full slate of events from Monday, April 11th to Friday, April 15th to celebrate National Library Week! There will be lots of prizes up for grabs at each event, plus a chance to have some fun. Please contact Alyson Drake at alyson.drake@ttu.edu with any questions.